When you have car trouble, you want only the most qualified, experienced mechanic to work on the problem. While price is an important consideration when choosing an auto shop, look for these top traits that indicate you’ve found a good mechanic worth keeping. As you call around to different auto shops in Fort Collins, pay attention to the way the staff treats you on the phone. You should feel like a top priority, that your concerns are valid. You should never feel intimidated or silly for asking a particular question. The staff you speak with should answer your questions patiently and explain the procedure for diagnosing the problems you describe. Then, once the mechanic identifies the problem, you should expect an explanation of the repair process in layman’s terms without feeling talked down to. You should feel a sense of relief working with the mechanic you choose, not worried, because you’re treated in a friendly, caring manner. After working with a particular mechanic once, you’ll get an idea of whether they like to upsell their customers. This is when you take your car in for an oil change, and the mechanic suggests a more expensive maintenance package. Or you go in for a tire replacement, and they recommend the priciest brand on the shelf. Considerate mechanics know your goal is to balance car care with your budget. They’ll help you keep your vehicle running well and make recommendations, not to cushion their profits, but to help you avoid expensive repairs later on. While this certification isn’t required to be a car mechanic or to own an auto repair shop, it should carry far more weight than say, having a clean waiting room. Automotive Service Excellence (ASE) certification proves that the mechanic pursues continuing education and development in the auto service industry. This is the primary certification program for auto workers in America. At Scott’s Fort Collins Auto, we’re proud to be ASE certified. You know an auto shop is reputable if it offers guarantees on repair work. This proves that the business is confident in its work and wants you to begin the car repair process with peace of mind. Scott’s offers a written warranty that guarantees parts and labor for 36 months/36,000 miles. While our mechanics work hard to perform dependable repairs every time, this no-hassle warranty delivers the extra confidence you need to choose us as your Fort Collins mechanic. 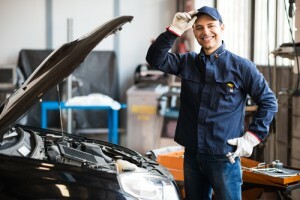 While the auto repair shop you choose certainly hopes to keep your business, one sign of honesty is when the mechanic admits a problem is beyond his limits and recommends a different car repair business in town that can help. This is far better than ending up with a mechanic that struggles to make a feeble repair job work just to prevent losing your business. Again, choosing a mechanic that offers a repair warranty ensures this won’t happen to you. At Scott’s, our mechanics are trained to handle repair and maintenance needs for a variety of makes and models, from domestic vehicles like Honda, Kia, and Toyota to foreign makes like Audi, Saab, and BMW. Still, if we face a predicament that’s beyond us, we’ll make sure you know where to go to receive the best repair job. Come to Scott’s for Quality Car Care in Fort Collins! When you require complete auto repair and maintenance in Fort Collins, Scott’s is the place to go. Our experience dates back to 1993, and our passionate team of mechanics love taking cars and making them better! Whether you need a basic tune-up, auto repair following an accident, or other services, please schedule an appointment at Scott’s Fort Collins Auto or call us at (970) 682-4202 to let us know when you’d like to stop by.